NATIONAL rugby (Sables) players have demanded the removal of the Zimbabwe Rugby union leadership for alleged maladministration. The Sables are virtually out of the running for the 2019 IRB Rugby World Cup following an 18-14 loss to hosts Tunisia on Saturday. With back-to-back losses, the Sables are now more worried about prospects of being relegated from the Gold Cup if they finish bottom of a six-team grouping. 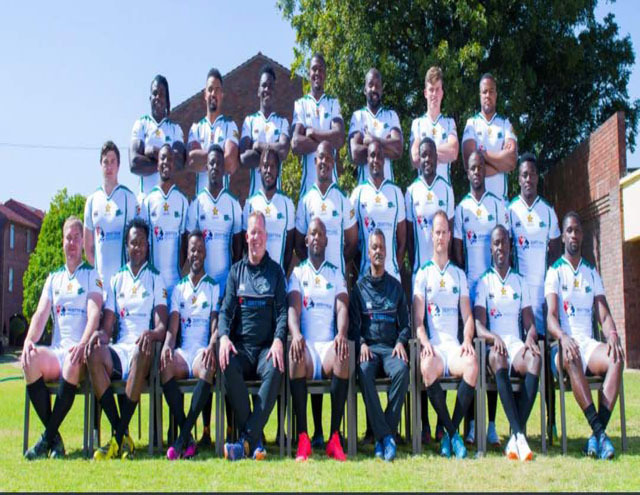 However, the trip will be remembered for the chaos that marred the build up to Saturday’s game as the Sables players slept on the street in Tunisia following problems with their accommodation and visas. Upon arrival the Sables faced a number of issues as they were initially delayed for almost six hours at the airport in Tunis because they did not have the required 600 euros ($949) to pay for visas, and later walked out of their allotted hotel in Beja after the squad deemed it substandard. Players then slept outside the same hotel. The Tunisian Rugby Union — after initially apologising — hit back at the “anti-sports and unethical actions of the Zimbabwean delegation”. Back home ZRU president, Aaron Jani spoke to Capitalk and it turns out his interview did not go down well with the players according to leaked minutes of a meeting they held at the at Alawadi Hotel Nefzar in Tunisia last Wednesday. Matters: Response to the comments made by the ZRU President following a radio interview on Capitalk FM on the 3rd of July 2018 at 8am CET. On player welfare – Alleged that the players had already moved into a new hotel with breakfast availed. When asked about the sponsorship of the sables, he (The ZRU president) evaded the matter choosing and proceeding to talk about the craven week sides. On Visas – He reported the issue of had since been taken care of. On Remuneration – He stated that the players’ payments where up to date, from the Morocco game up to and including the camp and game against Kenya. Nature of Payments – Further alleged that payments from the HPC camp were paid in hard currency. Accommodation- At the time of the radio interview the team had not moved to the new hotel nor had we had anything to eat. Sponsorship- Why did ZRU President evade the question pertaining to the sables’ sponsorship. To the best of our knowledge the craven week sides are supported by Old Mutual. Visas-Our visas to enter into Tunisia where actually paid for by one of the players, who is still awaiting reimbursement. Remunerations- 7 foreign based players still had outstanding payments dating back from the camp and game against Morocco, including the camp and game against Kenya. Nature of Payments- It is false that all allowances for the HPC were paid in hard currency. Half of the payment was given in cash with the remainder either RTGS or Eco cash. Sadly, never did the President address the players explaining the current cash situation. Tour Allowances- Players left Zimbabwe without any daily allowances for the tour, not even a transfer to their bank accounts even as the union had promised to facilitate CBZ visa cards for us. Funds received by the manager in Kenya for contingency purposes were used for laundry, snacks and food in Dubai, leaving no contingency funds for the Tunisia leg of our tour. A further grievance is lodged against the Vice President of The ZRU Losson Mutongwiza for continual interference in team selection and monetary issues to do with the Sables. He has stated that he himself had transferred funds into two players accounts (Farai Mudariki and Connor Prichard). These where unaware such a transaction had been made into their accounts. Besides if indeed these funds where transferred Connor Prichard who is no longer with the Sables squad having flown back to Zimbabwe on the 2nd of July 2018 to prepare for the Sevens World Cup, does not have the funds that were alleged to have been sent. Having been continuously accused of always receiving items from The ZRU, the Sables team hereby requests that The ZRU perhaps state precisely what they have given the players. Suffice to say, as players we have sacrificed a lot in our lives by taking time off from work, time with family and club obligations abroad. At no point in time have we been reimbursed for transport i.e taxi, kombis and fuel. The reason why we play rugby is for the love of the sport and the opportunity to represent our beloved country. We have played for nothing in the past, yet if the ZRU does now feel that $500 match fees, $40 daily allowances (local) and $80 daily allowances (abroad) that they have promised is now too much, it’s only fair they be upfront and communicate their position. Finally, in closing we as Sables want to see a change of the current administration which has, at every turn been willing to throw their players under the bus every time, an opportunity presents itself.